to the best experiences around the world. Whether you’re an airline, hotel, or travel agency who wants to stay in touch with their clients when they’re in-destination, or want to provide the best personalized service to their customers, Seamless Planet can help. 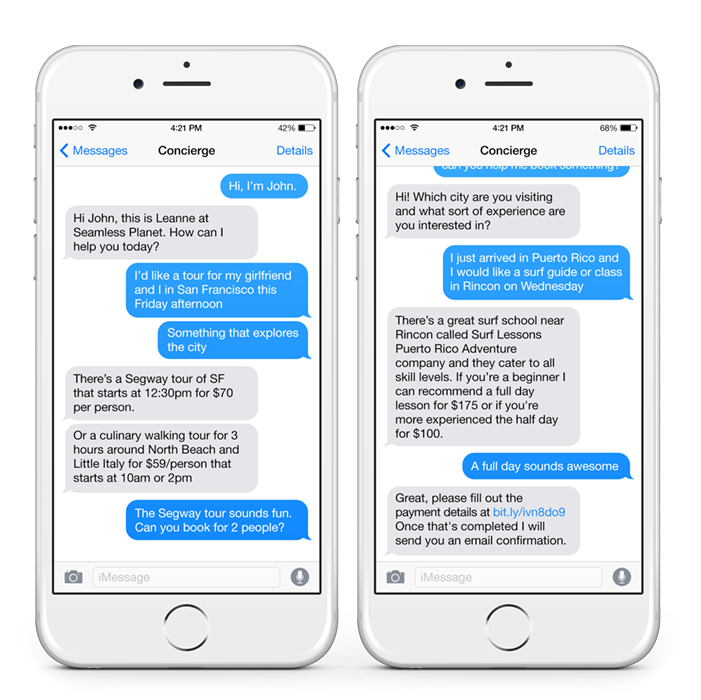 Our mobile AI-assisted travel concierge service is easily reachable over SMS, Facebook Messenger or online web chat. 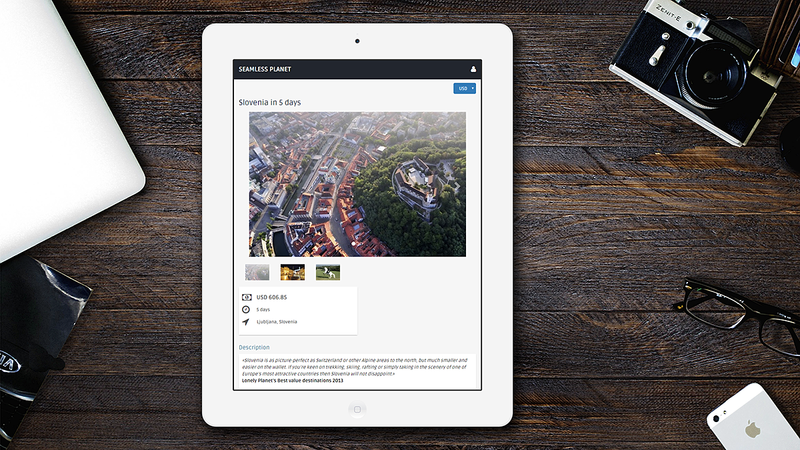 Provide on-the-go recommendations to travelers who need a little inspiration on their trip. We’ll create a customized online shop for your company, filled with curated tours and activities from around the globe. Quickly and easily provide a URL to your customers, and when they’re ready to book a tour while they’re on their vacation, it’s a simple process to review recommended activities, and book while they’re on the go. Sign up for the next phase of our invite-only program, and we’ll be in touch!